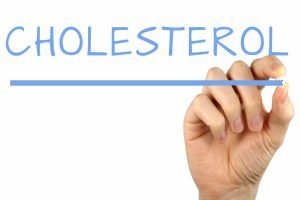 Does high cholesterol cause diabetes? Best ways to lower cholesterol begin with know exactly what cholesterol is and what you need to do to control and maintain the best numbers just like blood sugar numbers. Diabetes and cholesterol are two things you want to monitor for sure. Lowering your blood sugar can help you lower high cholesterol numbers. Not going to get too technical here, but I just wanted to give the actual definition of what I’m talking about here. Cholesterol definition: a compound of the sterol type found in most body tissues. Cholesterol and its derivatives are important constituents of cell membranes and precursors of other steroid compounds, but a high proportion in the blood of low-density lipoprotein (which transports cholesterol to the tissues) is associated with an increased risk of coronary heart disease. This is the bad boy you don’t want. He’s the one who can stress you out. LDL- low-density lipoprotein and excess forming in the blood spells trouble. Plaque (fatty deposits) builds up on the inside walls of the arteries. Plaque restricts the blood flow through the arteries which results in lesser amounts of blood getting to your vital organs. ( Brain and heart most importantly) You don’t want clots leading to stroke or heart attack. And trim that belly fat for sure! Reduce intake of trans fat and saturated fats. Make sure you exercise regularly and watch your weight daily. Eliminate any foods that contain partially hydrogenated oils. This is the guy you want on your side! HDL (high-density lipoprotein) is like the 4th batter in the baseball lineup. The cleanup man does just that. He cleans the bad plaque in your arteries and delivers it to the liver to dispose of. A higher HDL level protects the heart against heart disease. Raising your HDL number happens by getting daily exercise, losing weight, eating properly and quitting smoking if you are already doing so. Triglycerides are another pawn in the game of not wanting you to be healthy. They are another kind of fat in the blood and gets stored for food in the body. If your level goes too high, the risk of heart disease goes up. You want your levels to be less than 150 mg/dl. Following the pre-mentioned above about exercising, eating healthy is key. Stay away from the carbs. You know they aren’t good for you anyway. Lower saturated fat, increase omega-3 fatty acids and increase fiber. Diet and cholesterol go together. Going to the doctor to have your labs done is obviously important. You’ll want to have your total cholesterol number checked too. Exercise such as riding a bike and walking can help lower cholesterol. This number consists of your LDL, HDL, and triglycerides all together. Target number here is: (Drum roll) less than 200 mg/dl- YES!!! 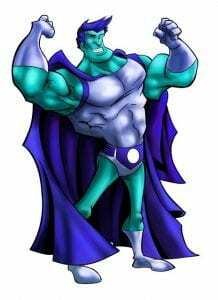 I’d like to mention a few popular supplements and some lowering cholesterol foods. Let’s try to keep in mind that some may help LDL, others help HDL, while some may have effects on triglycerides. As always, you should consult with your physician or health care team before so they can advise you professionally. I’ve had back pain in the past so I especially want to level my blood sugar numbers and monitor my blood pressure. You don’t want worry about them being too high, but you especially don’t want your sugar numbers too low. And something else that is extremely beneficial is vitamin D and apple cider vinegar. Try them and you’ll see what I mean! This is actually a fungus that grows on rice and it has the ability to block the production of cholesterol by the liver. Red yeast rice is in part a lower dose of a statin which is related to a prescription drug known as lovastatin. Anyone with side effects to this drug have instead turned to red yeast rice. There is still a possibility of side effects so check again with your physician. Garlic has been known to lower cholesterol levels but only temporarily. It does offer benefit in reducing heart disease by slightly lowering blood pressure. It may also reduce the risk of some types of cancer. There are very few side effects. Because recent studies have shown that ground flaxseed is a plant that has omega-3 fatty acids, it is beneficial in lowering LDL cholesterol and triglycerides. This aids in healthy digestion. Consuming just one tablespoon a day of whole flaxseed helps lower LDL. Possible side effects can be bloating, nausea, and diarrhea, but for the most part it’s safe. Avocados are extremely healthy for you. Regular consumption can increase HDL levels by more than 10% and decrease your LDL and triglycerides by up to 22%. Moderation is key here because of calories and fat grams. Two tablespoons a day at most. Mix in with your meals. Excellent source of fiber to balance your blood sugar numbers. Some nuts an be addictive, but if you eat them in moderation such as 1 handful (or approx. 50 nuts), they will reduce the LDL, raise the HDL, and raise your blood antioxidant levels, all good for the heart too. 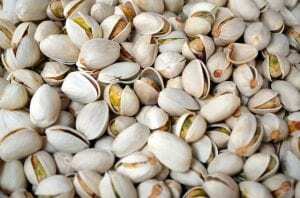 Pistachios prevent blood sugar spikes after a meal. This is my favorite! I LOVE peanut butter! It’s a great choice for reducing cholesterol. 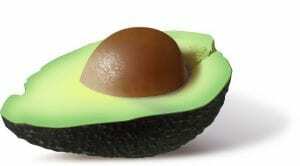 It has heart-smart polyunsaturated fats to raise the HDL. But? Two tablespoons a day. Lots of CALORIES too! Peanut butter also helps the spiking after you eat. Foods rich in fiber, both insoluble and soluble coming from whole grains, cereals, beans, vegetables, and fruits. Because many people that have type 2 diabetes have high levels of LDL and high triglycerides, these elevated levels are associated with cardiovascular disease. 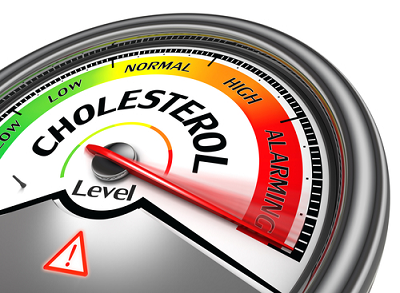 Does high cholesterol cause diabetes? You can manage your diabetes much more efficiently and help lessen your chances of cardiovascular disease too. Supplements are a great way to lower your sugars. Make sure you test your sugar! Now go sleep on it because you don’t want to be fatigued tomorrow. I hoped you enjoyed this article and if you have any questions about cholesterol and your blood sugar, please leave a comment below. I would appreciate it very much. Thanks for the info. Who would’ve thought that peanut butter, pistachios and avocado could reduce cholesterol? I think this is good news because I love all of these foods! I will definitely take heed of this and look to introduce more of these into my diet. Yes Craig, they are all healthy and help to lower cholesterol, especially avocado. I love peanut butter, but in moderation only. Don’t want to consume too many calories! I’m happy to see that not all that taste good is causing cholesterol! We tend to think that when something has some fatty texture it is not good for our arteries, heart, etc. These days people always try to cut in their fat consumption forgetting that our cells need fat (the good one!) Thanks for mentioning the good foods we can eat! Cholesterol is something that’s important to monitor for more reasons than one. It affects the heart but so does diabetes and high blood sugar. Thanks Carolyn! As a young teenager, I had always thought that cholesterol is completely unhealthy. Little did I know that our bodies require a healthy amount of “good” cholesterol. This article would make a great guide for many who are unaware of the effects of cholesterol on the body. I also think the food section would be exceptionally beneficial to people who are on a strict diet. Yes you are correct. There is good cholesterol as well. There are many factors that affect blood sugar levels. This is just one and of course high cholesterol does affect many other health issues. It’s good to have it checked regularly. 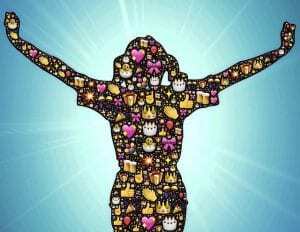 Great info on the evil of cholesterol and how that can wreck havoc to our body. I’m always guilty of eating to many fried food, so this is a good wake up call to me lol! Many thanks for the list of food to eat Rob. It might be hard, but I’ll try to slowly consume all of them in my daily diet. Cheers! Cholesterol is just one of the many toxics for our bodies, at least the bad cholesterol is. Like many others, it’s something that we have to watch to maintain good health. And anything that is connected to diabetes should be eliminated. Good luck Issac! I never thought that there are foods that could basically help us lower our cholesterol level at the same time improve our sugar level too. I will 100% share this to my friends and relatives who are struggling with their cholesterol and sugar. They will surely love this article and hopefully help them with their health condition. Food is medicine. It’s what makes us function properly if we eat a healthy diet. We surely don’t want high cholesterol levels anyway. It feels better once you start eating healthier and your blood sugar numbers begin to drop. This is a useful article for me because sometime ( not often) my cholesterol more than 200 although my weight is normal. Have you discuss about the relation between fried foods and cholesterol in your website ? 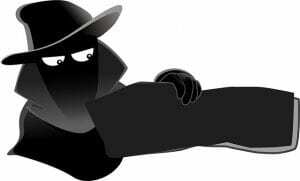 If you don’t mind, please send the article link to me. Thank you very much. Cholesterol numbers should be watched because you don’t want issues with your heart either. I do not have an article on the link between fried foods and cholesterol at this point, but any food that is fried is not good for you. Keep those numbers down! Unfortunately my LDL is high and my HDL is low. I love pistachios, they are totally addictive. Glad to know they can help with my cholesterol. 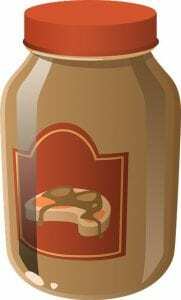 Is there a certain type of peanut butter that is best for lowering cholesterol? Does it have to be natural peanut butter or is Skippy brand OK? Creamy or chunky? Hey Jen 🙂 Yes it’s important to get those LDL and HDL numbers corrected. As far as I know, there is no specific peanut butter that’s best. The one thing to watch is that peanut butter does have calories and sugar, so it’s best to watch the amounts that you consume.